Retains service to Shaugh Prior School for entitled pupils. Otherwise retains work and shopping-time services to Plymouth but with reduced options. Service reduced from 7 journeys per day to 4. The revised service will still provide a peak time journey to and from Plymouth and a choice of shopping journeys. With service 59 it is basically reducing a 2 vehicle operated service with just the one vehicle. This is my local bus service and I must admit that the figure of 5000 affected seems low to me. I use the bus infrequently but at very different times of day and on different days and there always seem to be at least 8 to 10 passengers on board. 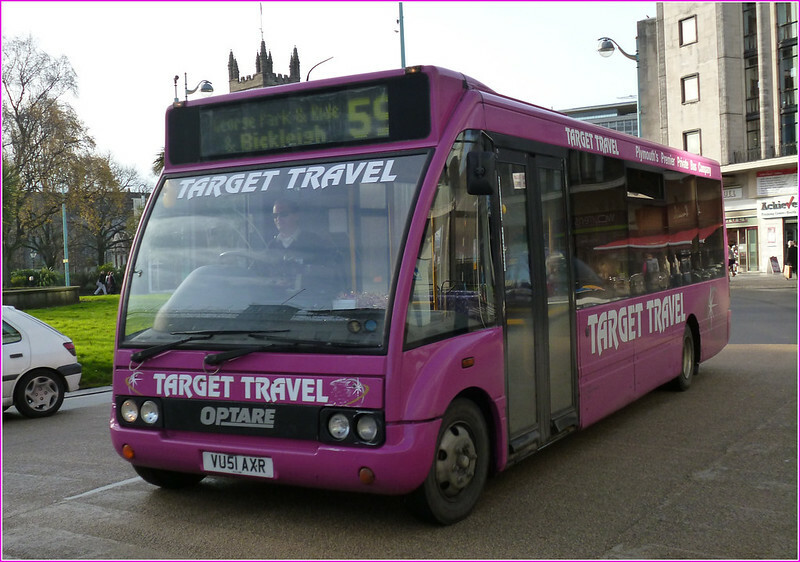 At certain times of the day there are often considerably more.Target have done quite well since they took over from Citybus and when I use it the bus is on time and the drivers friendly. 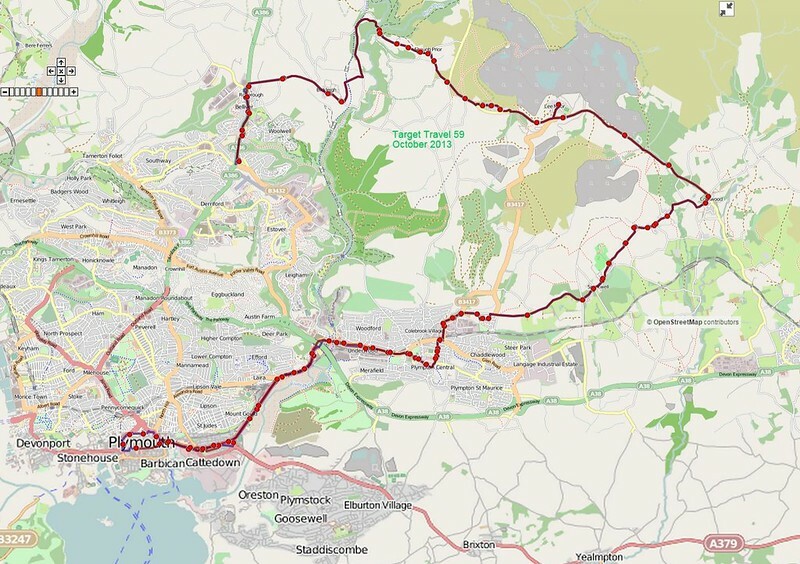 I wonder what effect such a cut may have on Dartmoor Zoo which this route serves.